I have been so distant with my blog lately! Not really because I haven’t wanted to catch-up, but I have had a few things going on. My mom was in town for a while, so I was busy shopping and messing around. Mom’s visit did take me on an outing, though, where I was able to photograph some sites I don’t normally get to check out. Tom, my husband, and I, took mom to a lovely made-to-order eggy breakfast at El Rancho here in Clovis. We had amazing omelets with green chiles that I could happily eat every morning of my life. Yum! 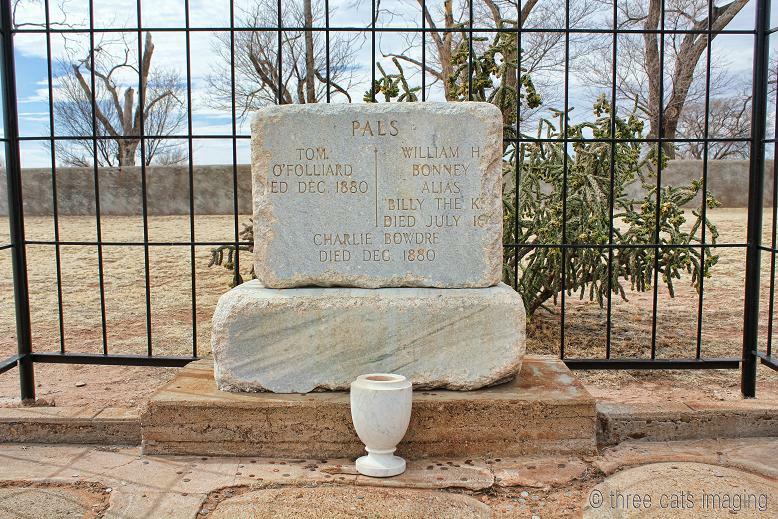 Then Tom came up with the idea that we should take a drive down highway 60 toward Ft. Sumner, where Billy the Kid is buried. It was a beautiful Saturday morning after all, so why not? So down the highway we head. Where we live in Clovis it’s so flat! 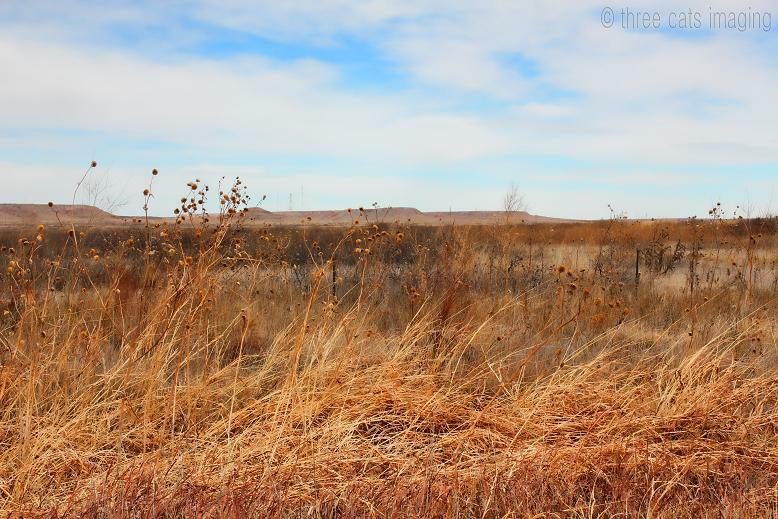 But just 30 minutes down the road the plains go from forever flat to some beautiful mesas and breaks in the ground that look like tiny grand canyons. In the very far distance you can see those monstrously huge windmills. Those things fascinate me! Unfortunately, I didn’t capture any pics of those, but I am hoping soon to get close enough to some that I can get some good prints. Perhaps on our next trip in a few weeks. So, we were almost to Ft. Sumner when my hubby tells me he’s going to pull into this side road up ahead because from there we can see where Billy the Kid was shot and captured. (Supposedly, anyway) So we stopped. The place is called Stinking Springs, which just makes me laugh. I made my way out of the car and to the middle of the road. Mind you, there is nobody for miles, so I could have spent all day in the middle of the road and it wouldn’t have been a problem. In fact, closer to the Kid’s grave site, there are dogs actually sunning themselves in the road, paying no mind to the occasional car passing by. Including our car. They didn’t even look up from their nap. Anyway, from my middle-of-the-road perspective, this is what I saw. 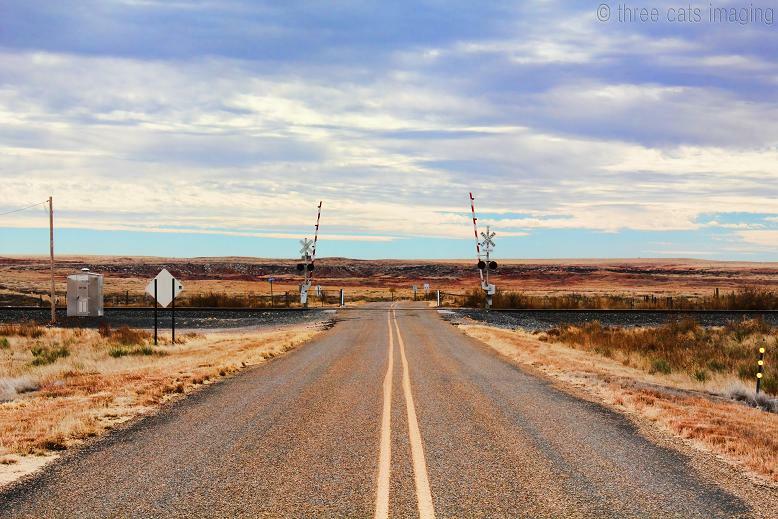 I loved the raised rail crossing guards that lead into the great unknown up ahead. It’s as if they were inviting the viewer to come check out what’s up there. 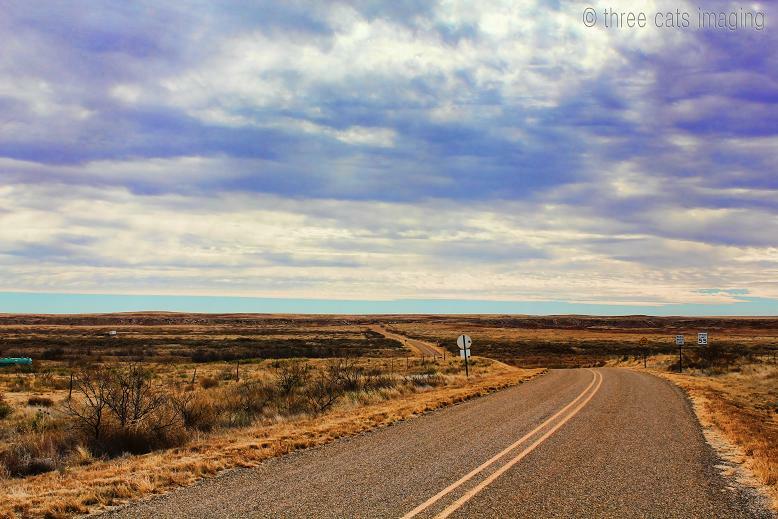 We didn’t proceed in that direction, but got back on the highway and headed further toward Ft. Sumner. But not without taking a few more photos before I left. And finally, onto the little town of Ft. Sumner. 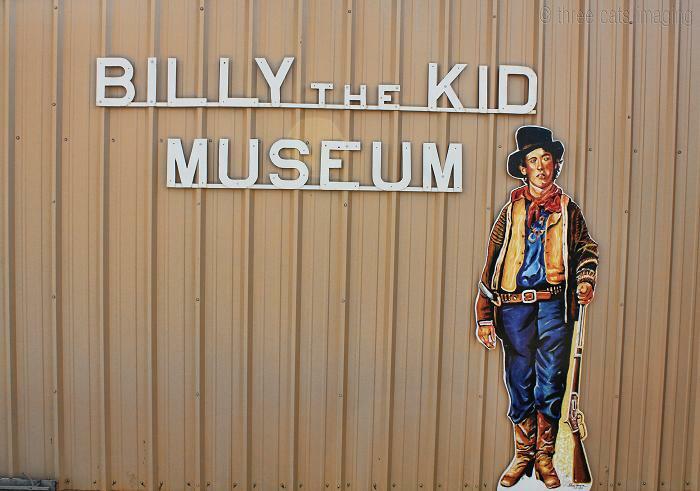 Right inside of town you’ll find the Billy the Kid Museum, which has been in operation since the early 1950’s. This place started out as a one-building museum opened by Ed and Jewel Sweet. Today the multi-building museum is operated by their son, Don and his wife. 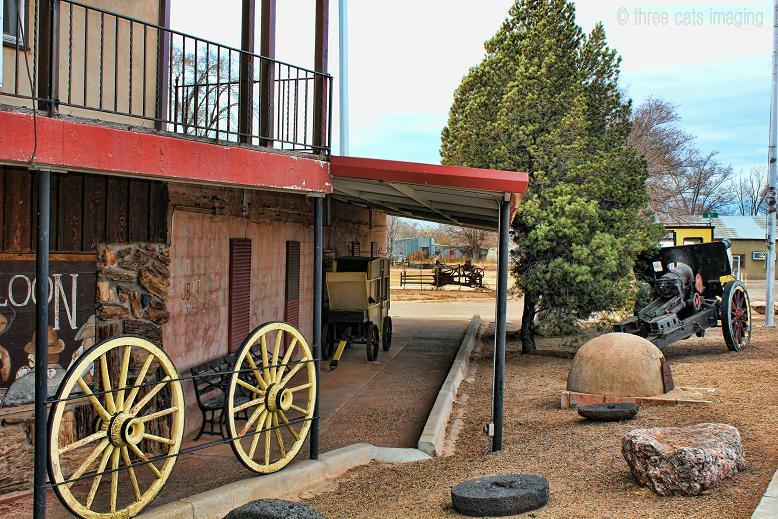 It’s got everything you can imagine relating to Billy the Kid, plus a great gift shop. Don’s a retired railroader, so he and my husband Tom hit it off right away. My husband has been working with the railroad for 20+ years, and he always loves meeting a fellow railroader! Don had lots of train history to share with Tom, so Mom and I shopped in the gift shop while they visited. 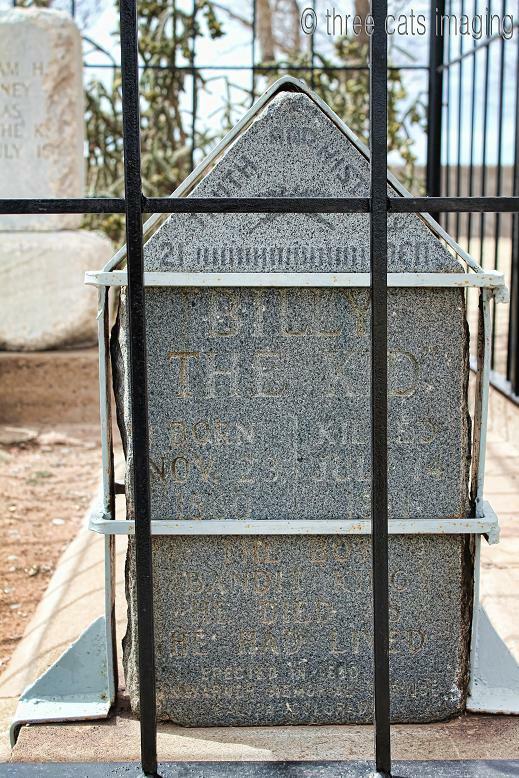 After we left the museum, we headed down to see the grave, or what is supposed to be the grave, of Billy. Depends on who you ask as to whether or not it is really his final resting place. Lots of controversy surrounding it, but we wanted to see it nonetheless. Apparently, this is the second or third stone they have placed here for him. Due to theft, his stone is held down by iron plates and the whole grave is surrounded by a huge cage. Now, considering I still have 10 more images from this trip, I think I will post them in a second entry. Don’t want to overwhelm anyone with too much nonsense in one entry. 🙂 See part II next time! 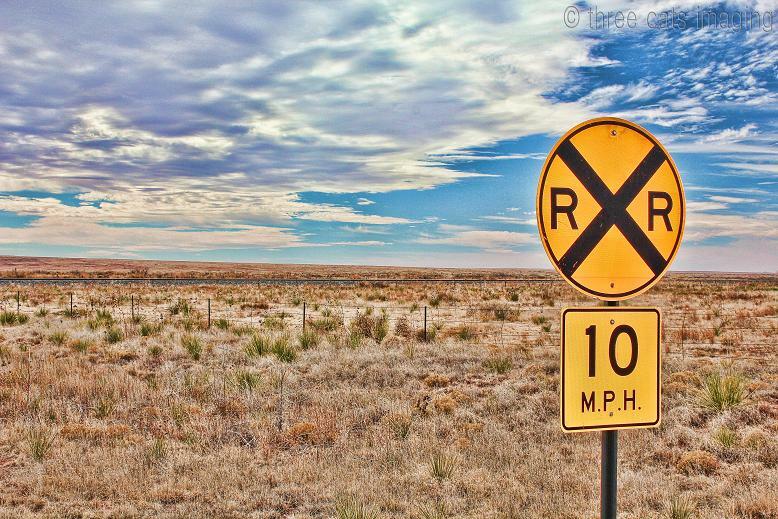 This entry was posted in New Mexico, Photography, Touristing and tagged Billy the Kid, BNSF, cemetery, Fort Sumner, museum, New Mexico, railroad, travel. Bookmark the permalink.